Having Trouble With Your Teeth and Struggling to Find an Affordable Solution? 100% Free One-to-one Consultation – Get the answers to all of your questions. Free Customised Treatment Plan – Tailored to your needs, your lifestyle and your situations. 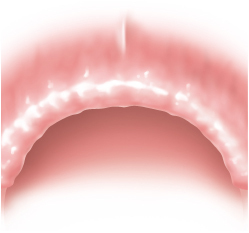 Be Able to Chew and Digest Food Properly – The only pain free permanent solution. Join 2,000+ Smiling Implants Patients at Bow House, a dedicated implant centre with state of the art technology. Contact us today to book your free implant consultation. Losing a tooth through an accident or decay can be very distressing, and the resultant gap in your teeth can have a significant impact on your appearance, your self-confidence and your speech. It can also affect your ‘bite’, making eating difficult, and puts strain on your remaining teeth. For all of these reasons, if you have lost a tooth or need to have a tooth removed due to decay, you may be considering how best to replace it. Thankfully, dental implants provide an excellent solution to missing teeth and here at Bow House our dentists are experts in creating and fitting implants that will perfectly match your remaining teeth. Dental implants are comfortable, durable and fuss-free, since they appear and feel just like natural teeth. Dental implants are comprised of a titanium post that is fixed into your jawbone under local anaesthetic, to which a permanent false tooth is affixed by your dentist. Titanium is used because of its ability to bond well with bone tissue, ensuring that your new tooth has a solid and secure base. 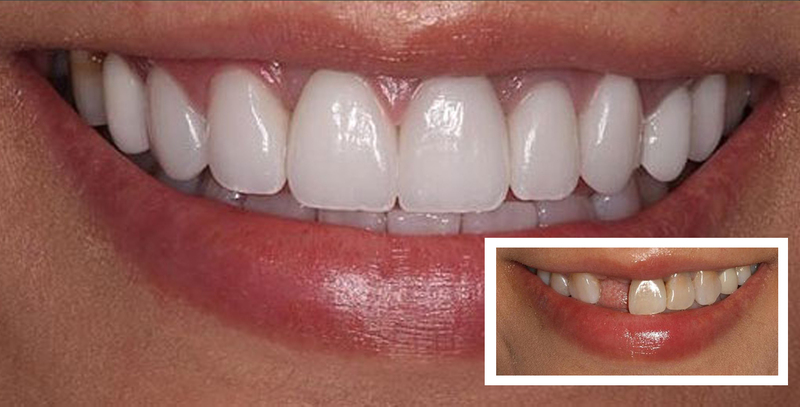 The false tooth is carefully colour-matched to your natural teeth. Once securely fitted with a dental implant, your smile will be complete once more; your new, strong implant will blend in imperceptibly with your own teeth and, with Bow House, it can last a lifetime. A single implant to replace a missing tooth consists of a titanium post that is inserted into the gum and jaw bone, with an attached artificial tooth to fill the gap and perfectly blend with your natural teeth. 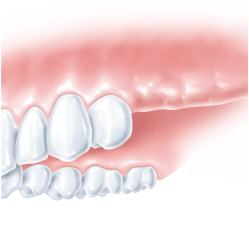 If you have two or more missing teeth in one section, depending on the amount of teeth missing, 2 – 4 titanium posts can be inserted into the gum and jawbone with attached artificial teeth to fill the missing section and put the confidence back in your smile. 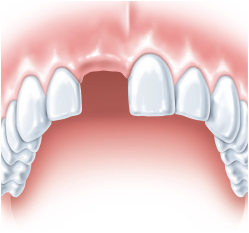 If you have several missing teeth from your mouth, similar to single implants, a titanium post can be inserted into the gum and jaw bone of each gap, with an attached artificial tooth to complete your smile. 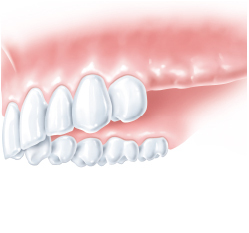 If you need all of the teeth replacing on one of your jaws, failing teeth can be removed and replaced with a fixed bridge. You won’t need as many titanium implants set in the jaw as you do teeth, as a bridge of new teeth can be fixed on just 4 (or more) implants to give you a complete and perfect smile. As dental implants are the only permanent solution to tooth loss, so long as you care for them thoroughly and correctly, life after dental implants is one filled with confidence and smiles! Dental Implants are designed to look, feel and function exactly like your natural teeth. Extra time is taken to match your dental implants to the colour and shade of your existing teeth, so your new full and natural smile may be picked up on by friends and family, but no one else would ever know you’ve had implants placed. Dental implants durability means that there are virtually no food restrictions. You don’t have to worry about them discolouring and staining from your favourite drinks, or cracking and chipping from your favourite foods. Dental implants allow you to eat, drink and smile exactly how you want to. You will find that prices vary from practice to practice depending on the materials they use. Our highly experienced implant surgeons only use the very best materials. At Bow House Dental we offer 100% free consultation so that you can be confident that you fully understand all of your options and what is best for you. Treatment costs vary greatly depending on the treatment you need. Detailed pricing will be provided at your free one-to-one consultation. Treatment can be made affordable with our range of finance options including 0% interest up to two years and low interest rates for longer periods. Dental implants are an artificial replacement for a tooth’s root. They fit directly into your jawbone and hold crowns or false teeth in place, in the same way that roots support natural teeth. If you look after your teeth and implants properly, they can last for the rest of your life. To fit an implant, titanium screws are drilled into the jaw bone to support a crown, bridge or denture. Normally, the process for getting a dental implant can last anywhere between six to eight months and requires two surgical procedures. During the procedure, the artificial root is placed in the bone and allowed to heal. The procedure itself takes 1 to 2 hours and the healing time is 3 to 6 months. With revolutionary techniques, we are now able to offer full arch replacements in a single day. Your dentist will talk to you about what will happen before, during, and after the procedure, and any pain you might have. Most dental implant patients say the procedure doesn’t hurt and the discomfort is minimal. It’s really important that you understand what to expect so you can decide whether to go ahead. Your dentist should go through the risks as well as the benefits. When to get Dental Implants? Dental implants are ideal for patients who can’t wear dentures, patients whose face and teeth may have been damaged for any such reason as those who’ve had mouth cancer, a severe infection resulting in loss of the tooth or an accident that’s knocked a tooth out. At Bow House we take great care to explain each step of any treatment with our patients so that they are fully informed of what will happen. We find that this alleviates anxiety, and our implantologists are highly experienced in supporting patients who remain nervous about dental procedures. Dental implants are usually carried out under local anaesthetic, but if you are an any way concerned about this type of treatment then please speak with us prior to your appointment so that, if necessary, gentle sedation can be arranged. The process of having a dental implant installed can take between two and six months, to allow time for the titanium core to fully bond with your jaw. During the procedure to fit the implant you will not feel any pain, thanks to your dentist’s gentle application of local anaesthetic, and any discomfort you may feel immediately afterwards can be alleviated using ordinary painkillers such as paracetamol and ibuprofen. 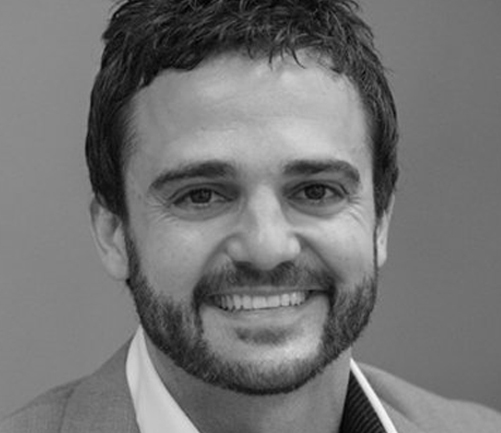 David has been working in the dental industry for over 10 years, and has worked with more that 1000 patients to transform their smiles and reinvigorate confidence using dental implants. 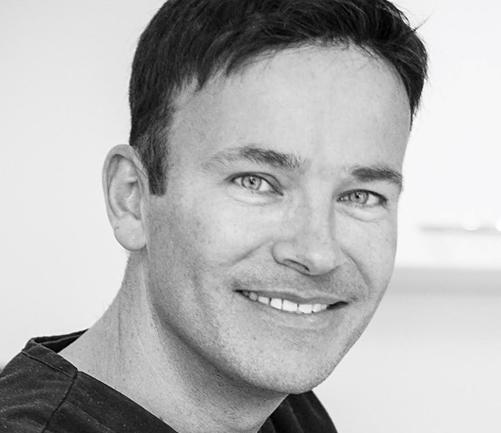 Throughout his career, David has gained invaluable clinical excellence and a wealth of experience in placing dental implants. David also shares his expertise by regularly teaching at the Royal College of Surgeons in London. David’s ensures that the utmost attention is paid to each and every patient,focusing on finding the ideal solution for even the most anxious of patients. Edward is incredibly passionate about transforming peoples’ lives by enhancing their smiles. He has a specific interest in dental implants and cosmetic dentistry and spends much of his spare time continuing his education and developing his knowledge surrounding these areas of expertise. Edward has been working with patients to boost their confidence through dental implants for over 15 years and tends to place between 50 and 100 each year!